National Fragrance Week is a great thing. It’s a time where we, as in the lovers of perfume, brands and retailers, all get to celebrate something that we all enjoy: fragrance. The Fragrance Foundation recently released a report that said that the UK fragrance market is worth £7 billion. £7 billion!! That’s a lot of fragrance bought and sold, and it goes to show the importance it plays in our lives. Without perfume our lives would be grey and dull – they’d lack colour, texture, emotion and vibrancy. To celebrate National Fragrance Week and the importance perfume plays in our lives, I’ve asked three fragrance lovers to share their ‘desert island fragrances’. The task I set them was easy – tell me what fragrance you’d want to be stranded on a desert island with. Of course, for people who love perfume (and lots of it) picking one is not easy at all, in fact, it’s very mean. But hey, them’s the rules, and to dull the pain a little, I’ve challenged myself to do the same. So without further ado, here are our desert island fragrances. Now, if you’ve read this blog before (or even my own blog) you’re probably expecting me to drop the ‘M’ word and pick something entirely predictable like Angel or Alien from my favourite brand MUGLER, but no, I am going to throw a massive curveball at you today, folks, because my desert island fragrance is something somewhat unexpected: the historic, nay, the iconic Jicky by Guerlain. If I was stuck on a desert island (on which I would not survive for long, let it be known – Bear Grylls I am not), I would want comfort. I’d want a fragrance that transported me away from my desolation (unless the island had amenities and a spa – does it have amenities and a spa, asking for a friend?) – a scent that made me think of happier times. Jicky is a fragrance I wear in the winter. It makes me think of long walks in warm coats, of cuddles on the sofa and endless conversations over filling dinners. Jicky makes me think of home. Jicky is a beautiful fragrance. 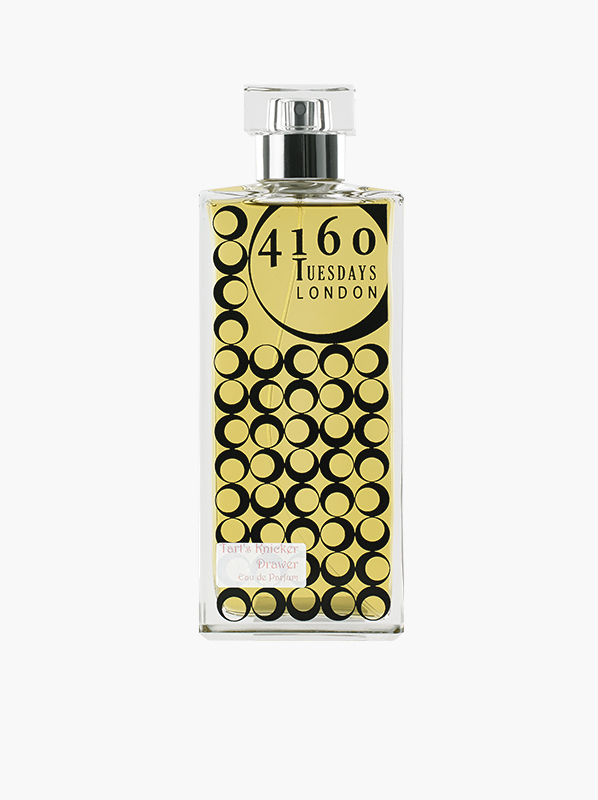 It’s a tightrope walk along the gender line where crisp, aromatic citrus notes are butched-up by a masculine lavender accord and hot, breathy civet, while a smooth swirl of vanilla brings a soft, feminine quality. Jicky has an air to it – a well-dressed yet approachable character that lets one see it more as a best friend than a perfume. I think it would be the perfect companion for the five days that I managed to survive on my desert island. I’d be useless, dear reader, but I’d smell fabulous. If I had to pick one ‘forever fragrance’ for a desert island, I wouldn’t be happy. I recently cut down my collection significantly, but I still can’t get myself to fewer than 50 fragrances. 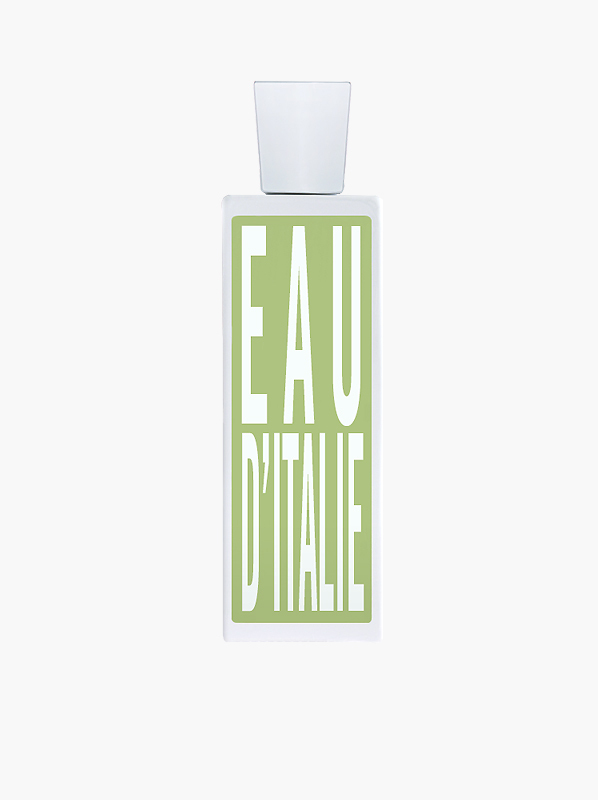 That being said, after much deliberation I’ve settled on Eau d’Italie’s eponymous signature fragrance. Designed to capture the scent of the family’s Le Sirenuse hotel and Positano itself, Eau d’Italie feels like a cool breeze over the seaside town, with an intriguing herbal-citrus freshness, the scent of sun-warmed terracotta and a mineral musk and incense accord running through. I first smelled it 9 years ago, and I still haven’t smelled anything like it – plus there is enough going on that I’d be happy to forsake extra perfumes, until I’m rescued, at least. For me, it would have to be Tart’s Knicker Drawer by 4160 Tuesdays. It’s everything I want from a perfume: it’s got the flowers, the powdery vibe, fruity notes, lipstick and a hint of laddered stocking. On a desert island, this would make me feel glamorous, even if my bra was made of coconuts. 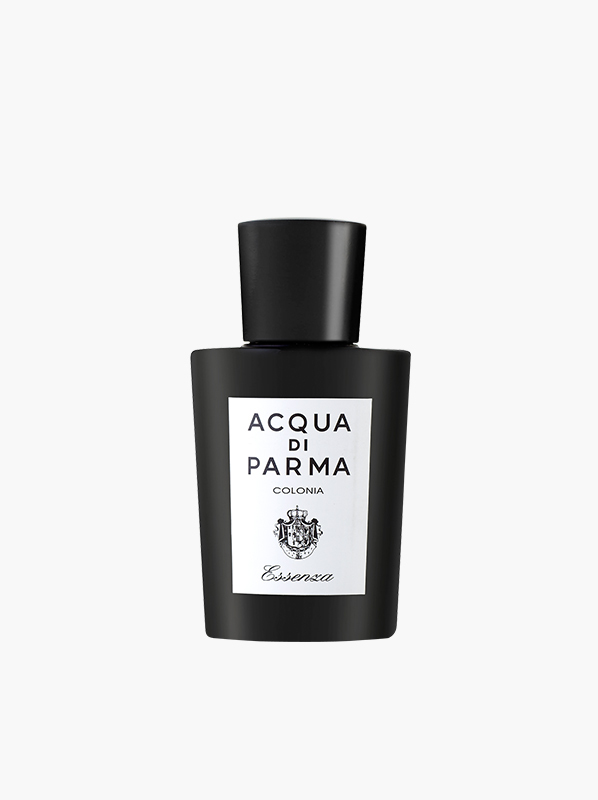 My desert island fragrance would be Colonia Essenza by Acqua di Parma. 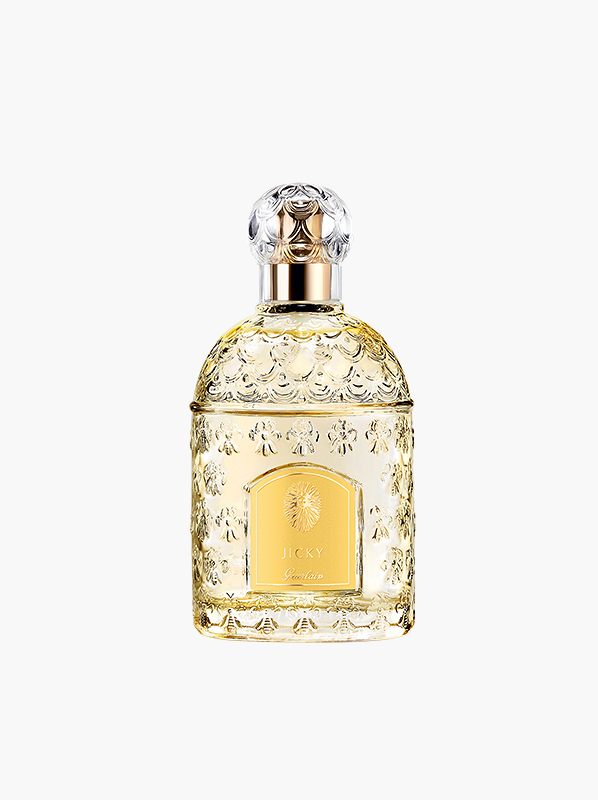 It’s a beautiful citrus aromatic fragrance with a fruit salad explosion of Mediterranean fruits in the opening and a rich combination of floral notes, vetiver and patchouli underneath. It smells fresh, clean, classy and always puts a smile on my face when I wear it. If I had to pick a signature scent, then this would probably be it. 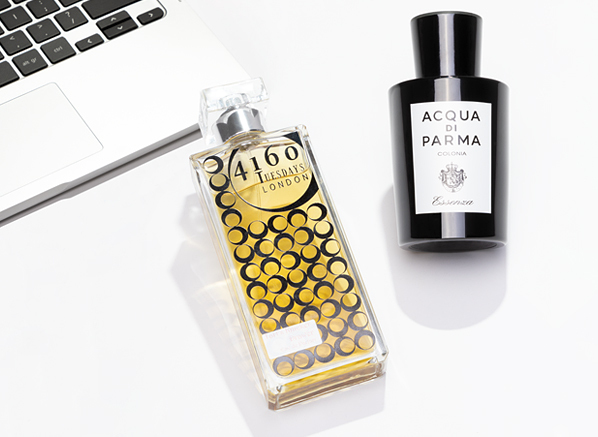 This entry was posted on Wednesday, March 20th, 2019 at 4:40 pm and is filed under Candy Perfume Boy, Fragrance, Guest bloggers, Lifestyle, Men, Special Post, Spotlight On, Tried & Tested. You can follow any responses to this entry through the RSS 2.0 feed. You can skip to the end and leave a response. Pinging is currently not allowed.